Time to chill out this summer! 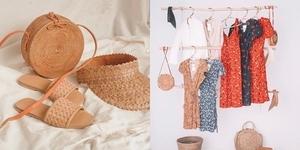 Besides a thrilling vacation at the beach, one of the best things about the scorching season is the pleasure of enjoying a cool snack under the sun. And even though ice cream had always been the common choice among the perspiring populace, there's always been a wide selection of frozen desserts in the market that can cool down even the hottest of days. 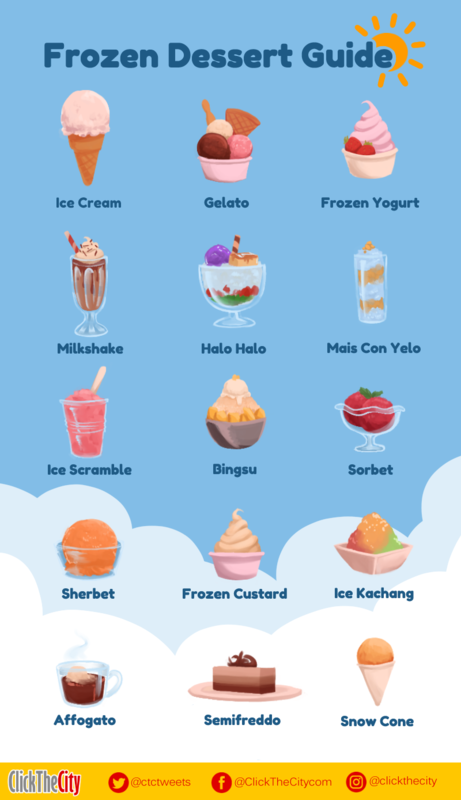 So if you want to know the this-and-that of these iced sensations, you can now start with our prepped-up handy guide on the different frozen desserts to satisfy your curiosity and cravings. This well-famed frozen dessert is made from milk, cream, eggs, and sugar churned with additional ingredients to achieve a desired flavor. Its texture may vary with its type, from the hard custard to soft serve ice cream. The Italian version of ice cream, gelato is a lot denser and more intense than its American counterpart caused by a tweak on the volume of its ingredients. Gelato is easy to distinguish on shops as it often looks like fluffy landslides of soft serve ice cream sitting on trays instead of coming straight from a machine. Frozen yogurt or fro-yo is basically yogurt with some sugar that is churned and frozen at a certain level to achieve the common texture of ice cream. Another cool dessert on the spotlight, milkshakes are shaken or blended beverages usually made from milk, cream, ice cream, other sweeteners and flavorings. It can also be topped with whipped cream and cherry for a classic look, or any toppings of your fancy. A Filipino dessert that boasts of color and a wide spectrum of ingredients, Halo Halo is comprised of sugar and red beans under shaved ice drenched in milk and syrup, then topped with an assortment of ingredients: sago, gulaman, sweetened white beans, pinipig rice, fruit slices, ube, leche flan, and a scoop of ice cream among others. Other local cool snacks similar to Halo Halo, the ice shavings and milk are layered with either corn kernels or caramelized banana slices and served to be crushed with a spoon for a chilly pleasure in the tropics. Often sold in our local streets, ice scramble or iskrambol is known for its usual attractive pink color. It is a combination of ice shavings, evaporated milk, sugar, banana extract, and food color mixed thoroughly until it reaches a smoother texture. It is often served in a cup layered with powdered skimmed milk, topped with small marshmallows, and drizzled with chocolate syrup. Bingsu is a popular Korean dessert made from ice shavings topped with chopped fruit, condensed milk, fruit syrup, red beans, and tteok (Korean rice cakes). The recent years saw the bingsu's huge leap from its traditional form to having new flavors and toppings like chocolate, mango cheesecake, matcha and anything imaginable. Sorbet skips the dairy ingredients of ice cream to produce a sweet frozen dessert. It is in essence, frozen sweetened water with flavorings. It is a dairy-free and gluten-free, with little to no fat dessert. A little amount of milk, cream, egg whites, and gelatin are added to a sorbet mixture for a texture creamier than sorbet but lighter than ice cream. Sharing the same ingredients as those of the ice cream, frozen custard uses a higher percentage of egg yolk and butterfat giving it a thick and creamy texture, and a smoother consistency than ice cream. Ice kachang or ais kacang from Malaysia literally means "iced beans." From the traditional combination of ice shavings and beans, this dessert has now expanded the medley of its ingredients with grass jelly, sweet corn, peanuts, evaporated or condensed milk, palm sugar syrup, basil seeds, mango, durian, and ice cream. A frozen fix for coffee-loving folks, Italian dessert affogato directly translates to the word "drowned." A shot of hot espresso is poured into a scoop of vanilla gelato or ice cream on a chilled glass, causing the latter to "drown" but not melt entirely. Another confection of Italian origin, semifreddo is a "semi-frozen" dessert in the form of a loaf with a texture halfway between ice cream and mousse. While it caters to different flavors just like ice cream, piling it high with toppings is preferred rather than mix-ins to allow a smoother slice on the treat. Often served on paper cones or cups, this simple frozen dessert is comprised of ice shavings poured with flavored sugar syrup that, depending on its flavor, gives each snow cone an attractive color for appeal. 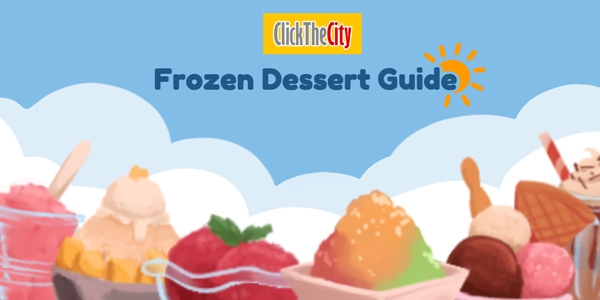 Common flavors to this dessert are cherry, grape, blue raspberry, and watermelon among others. Which of these delights have you already tried?